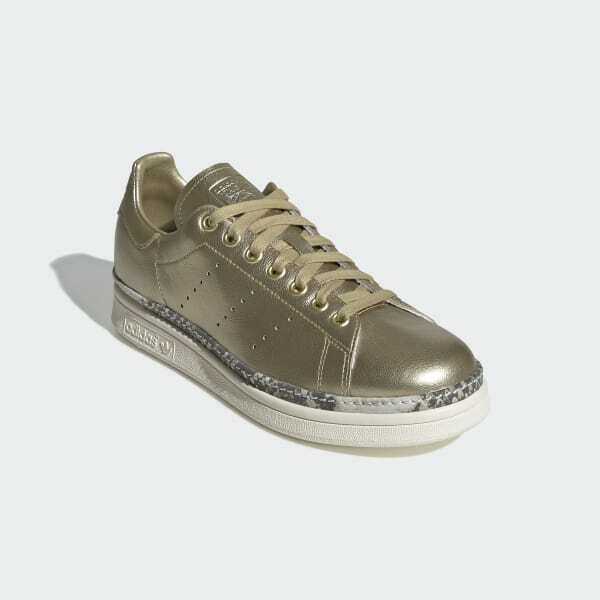 A Stan Smith with a gleaming metallic upper and a snakeskin-pattern detail. Named for one of tennis' all-time greats, the minimalist Stan Smith look invites fresh interpretation. 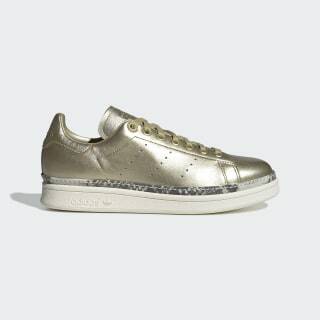 These shoes give a glamorous touch to the classic sport style. They show off a metallic gold upper and a snakeskin pattern stamped onto a thin band of leather that wraps around the midsole. The perforated 3-Stripes stay true to the iconic Stan Smith style.